A creamy skin care generating hydration and intense radiance cream for dehydrated, sensitive,and dry to very dry skin with lack of radiance. Can be sued on the face and neck by adults and teens. Apply onto the face and neck in the morning and/or evening after cleansing and toning. The patented biological complex Aquagenium generates intense hydration, immediately and lastingly. Vitamin PP strengthens skin resistance and impermeability while Apple seed extract stimulates the activity of aquaporins, which are the natural channels allowing water flow within the skin. 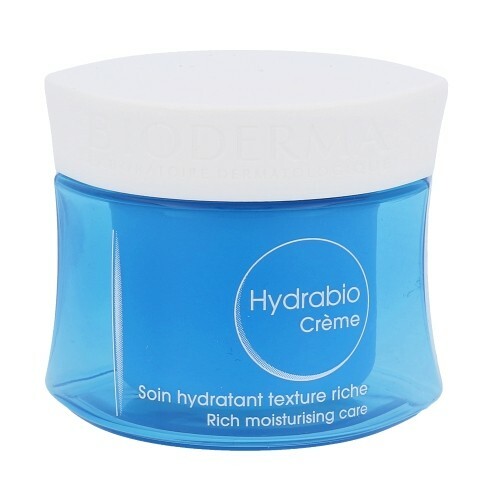 The rich and creamy texture of Hydrabio Crème intensely nourishes the skin. Thanks to an emulsion inspired by the structure of the epidermis, the active ingredients of the Aquagénium patent penetrate deeply and in a more targeted manner. The skin thus regains its natural hydration capacities, for intense radiance. In a lasting way.